The Köbesses originally wore a blue knit waistcoat, a blue linen apron, and a leather money pouch. Now, most Köbesse wear a blue or white short-sleeved shirt. 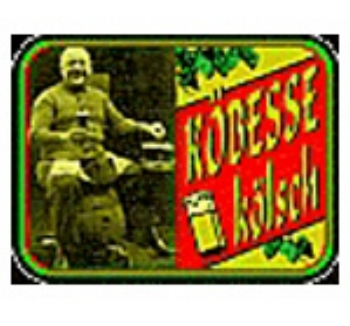 The Köbesse worked in Kölsch taprooms to learn how to deal with the public, while at the same time working as apprentices in the breweries. Traditionally, Köbesse could only be male. Köbesse originated during the days of pilgrimages. The wealthier people of Cologne, Germany (where Kölsch originated and where, technically, only true Kölsch-style beers may be called Kölsch) would travel to Santiago de Compostella in northern Spain on pilgrimages. The pilgrimage was called the Path of Jacob because the pilgrims received a Jacob's shell as their reward. Köbes is the Kölsch word for Jacob. The Kölsch brewery apprentices could not afford to make the journey by carriage and so had to work in guest houses and pubs along the way. Thus, Köbesse became the phrase for "making money on Jacob's pilgrimage."